Magento eBay Connector: eBay is the leading online marketplace where users can buy and sell their products globally. 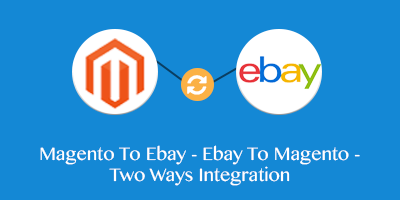 Using Magento eBay Connector allows syncing the Magento store to the eBay store. The admin can sync product, categories, and orders from eBay store to Magento store. This module provides bi-directional sync of products ie; eBay store to Magento store and Magento to eBay. Also, the admin can provide eBay specifications, variations, refund policy, shipping details for exported products. Magento eBay Connector: eBay is the leading online marketplace where users can buy and sell their products globally. Using Magento eBay Connector allows to sync the Magento store to the eBay store. The admin can sync product, categories, and orders from eBay store to Magento store. This module provides bi-directional sync of products ie; eBay to Magento and Magento to eBay. Also, the admin can provide eBay specifications, variations, refund policy, shipping details for exported products. 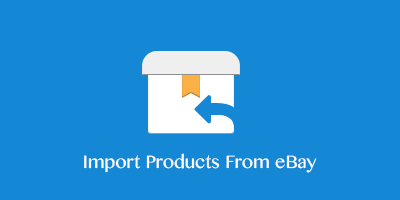 Import eBay products, categories and orders in Magento. 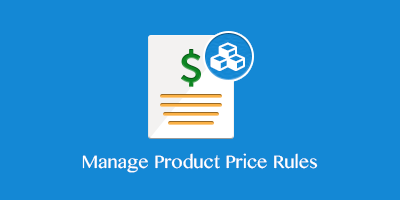 The admin can create the multiple price rules to update the price of the synced products automatically. The admin can create eBay Template to export the product’s additional information along with the product. Export products from Magento to eBay. Works with simple & configurable product types. Real-time inventory update for synced products. Admin can also import categories of eBay to map with Magento category. Admin can update imported product details from Magento. Admin can configure return policy details for exported products. Set the exported product listing duration. Products synchronization with eBay condition, specification, and variation. Exports products to eBay using SKU filter. Sandbox mode is available for testing and development. Configure default product payment and shipping details. You can also integrate eBay Motors with Magento using this module. 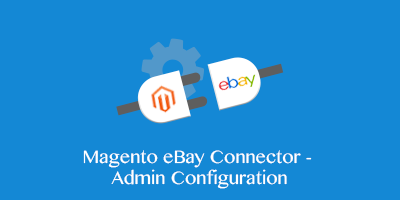 Magento eBay connector Extension provide both way integration that means admin can sync the product from magento to eBay as well as from eBay to Magento. This is the first extension is in magento community which offers two-way support for the synchronization. The extension works out of the box in this way and saves huge amount of time by syncing ebay product variation to magento also other product properties like ebay products images and categories . Ebay connector also provides feature to "map the categories"
Magento eBay connector provides and end to end integration between magento and eBay. After the successful installation and configuration of the module, the admin will be able to integrate following ebay information at their magento store and can also export the products at magento to eBay. 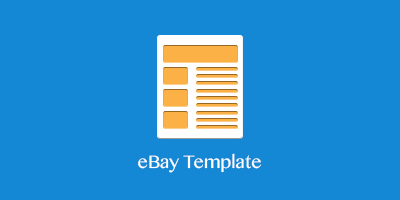 eBay Template will display the additional information of the product on the eBay store. These eBay Templates will export the product’s additional information along with product. The admin can edit or delete the template. The admin can add or create the unlimited number of Templates. Add an unlimited number of price rules. Set the price operation as increase or decrease in price rule. Under the "Import Product from eBay" section, the admin will find all the imported products. First, the admin will get the eBay products information and then create the imported products entries in Magento catalog. While synchronizing products, admin can view the quantity of synchronized products. After product mapping, eBay Condition and Specification will be created as Product attributes and eBay variation will be created as Super Attributes(used for configurable products). Import all the basic attributes of products - name, price, image, description, stock, etc. 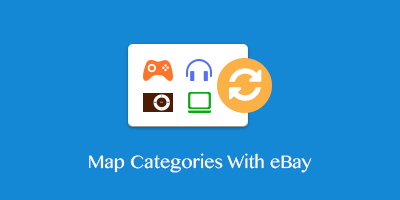 Under the "Map Category with eBay" section, the admin can synchronize eBay categories to Magento categories. After mapping the categories, condition, specification and variations will be created as Attributes in Magento. Condition and specification will be created as normal Product attributes and Variation will be created as a super attribute (only for configurable products). Admin can map eBay product category to Magento category. After category mapping, Condition and specification will be created as normal Product attributes. After category mapping, Variation will be created as a super attribute (only for configurable products). Note: Before synchronizing orders from eBay to Magento, make sure that all products are synchronized from the eBay store to Magento store. 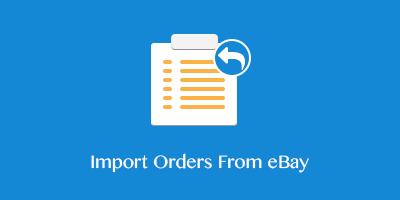 Under the "Import Orders from eBay" ,the admin can synchronize the order from the eBay Store to the Magento Store. After order synchronizing, admin will have all the eBay order id and their respective Magento order id along with the "date" on which order was created. Admin can synchronize the order from the eBay Store to the Magento Store. After order synchronizing, admin will have all the eBay order id and their respective Magento order id along with the "date" on which order was created. To synchronize the products in Magento to eBay is super easy. 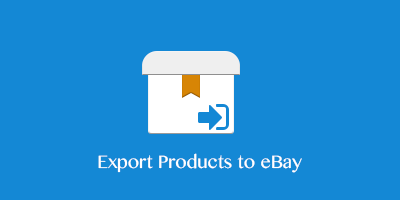 Just select the products that you want to sync and then click the "Export to eBay". All the selected products will be listed on eBay automatically. If anything updates on Magento end, it will auto update on eBay. Admin can select a single or make a multi-selection of products that he wants to sync to eBay. Click the synchronize to eBay button to sync the product to eBay. Did you buy Magento eBay Connector?